Who was Luke, who includes these canticles? Luke was a Greek and a Gentile. He is the only Gentile to author any of the Books of the New Testament. Hence, he translates Hebrew words into Greek or gives their Greek equivalent. 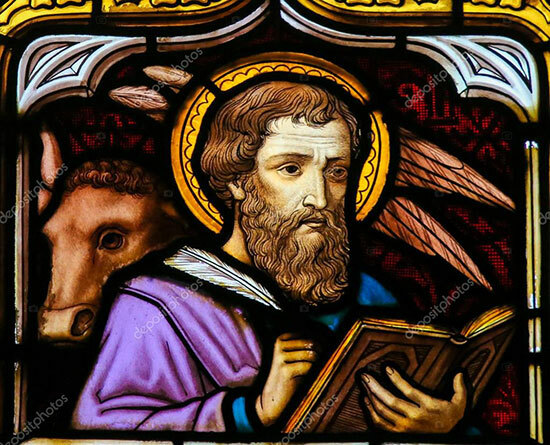 Luke is the author of the Gospel of Luke and the presumed author of the Book of Acts. He was also witness to the growth of the first century church and carried the Good News to the Gentiles. He wrote in the 80’s and wrote approximately 24% of the New Testament more than any other writer including Paul. He was a Syrian from Antioch and more reflective of Middle Eastern Culture than the Jewish writers in the rest of the Gospels. He was a passionate story teller, emotional, similar to today’s Arab culture. He records virtually nothing about himself, but his fellow apostles do reveal some information about him. We may also discern some things about him based on the manner in which he presents information, his background and the times. Legend has it that Luke was an artist and painted as well as wrote. He was said to have interviewed eyewitnesses to the life, ministry, death, and resurrection of Jesus. In this sense, he was a journalist. Some traditions say that Luke not only met and interviewed Jesus’ mother Mary, but he also painted her portrait. This portrait is known as “The Black Madonna,” and it is Poland’s most treasured sacred relic. Paul records in Colossians 4:14 that Luke is a physician – “Luke, the beloved physician” (Colossians 4:14). . This would make him an educated man. Luke’s inspiration and information for his Gospel and Acts came from his close association with Paul and his companions as he explains in his introduction to the Gospel. Luke uses the most sophisticated Greek found in the New Testament. He was clearly the most learned among the New Testament writers. On several occasions he uses precise and unusual medical terms, offering evidence of his training in medicine. Paul also describes Luke as a “˜fellow laborer’ in the 24th verse of his letter to Philemon. In 2 Timothy 4:11a, Paul says, “Only Luke is with me.” These are the only direct references to Luke in the entire New Testament. What we can infer from this is that Luke must have been a humble man. He was Paul’s traveling companion and Paul got a lot of attention. It would seem that any of his companions, especially in the case where Luke is his only traveling companion, would get some attention if he put just the slightest effort into gaining personal recognition. 1. Luke’s gospel shows special sensitivity to evangelizing Gentiles. It is only in his gospel that we hear the parable of the Good Samaritan, that we hear Jesus praising the faith of Gentiles such as the widow of Zarephath and Naaman the Syrian (Luke 4:25-27), and that we hear the story of the one grateful leper who is a Samaritan (Luke 17:11-19). 2. Luke’s is the gospel of the poor and of social justice. He is the one who tells the story of Lazarus and the Rich Man who ignored him. Luke is the one who uses “Blessed are the poor” instead of “Blessed are the poor in spirit” in the beatitudes. In Luke’s Gospel, Jesus does not stand at the brow of the hill, which made for a perfect setting to speak to a large audience. Instead, Jesus comes down from the mount and walks among the people as he speaks. Jesus is among them, not as a figure towering over them, but as one who has compassion upon each and every person and walks side by side with them. Only in Luke’s gospel do we hear Mary’s Magnificat where she proclaims that God “has brought down the powerful from their thrones and lifted up the lowly; he has filled the hungry with good things and sent the rich away empty” (Luke 1:52-53). 3. Luke also has a special connection with the women in Jesus’ life, especially Mary. It is only in Luke’s gospel that we hear the story of the Annunciation, Mary’s visit to Elizabeth, including the Magnificat, the Presentation, and the story of Jesus’ disappearance in Jerusalem. It is Luke that we have to thank for the Scriptural parts of the Hail Mary: “Hail Mary full of grace” spoken at the Annunciation and “Blessed are you and blessed is the fruit of your womb” spoken by her cousin Elizabeth. 4. Forgiveness and God’s mercy to sinners is also of first importance to Luke. Only in Luke do we hear the story of the Prodigal Son welcomed back by the overjoyed father. Only in do we hear the story of the forgiven woman disrupting the feast by washing Jesus’ feet with her tears. Throughout Luke’s gospel, Jesus takes the side of the sinner who wants to return to God’s mercy. Reading Luke’s gospel gives a good idea of his character, one who loved the poor, who wanted the door to God’s kingdom opened to all, who respected women, and who saw hope in God’s mercy for everyone. He is often shown with an ox or a calf because these are the symbols of sacrifice—the sacrifice Jesus made for all the world. We remember him on Oct. 18.